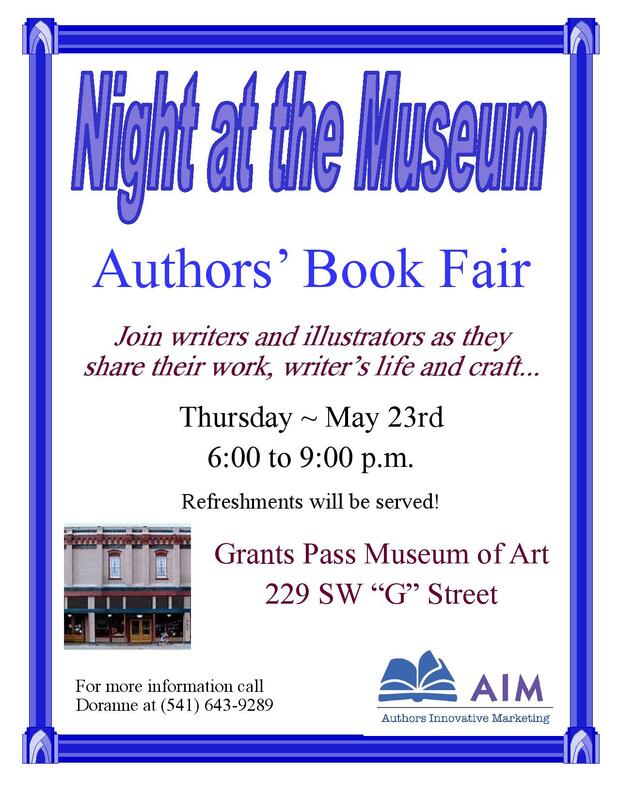 Based in Grants Pass Oregon, AIM is a resource for published authors navigating the challenges of book marketing. AIM authors represent many genres: fiction, non-fiction, historical fiction, history, romance, adventure, children’s picture books, youth fiction, memoir, and science fiction. By sharing resources, experience, expertise and techniques, AIM members support and encourage each other toward higher book sales. If you are a published author interested in joining AIM, come to our meeting the first Tuesday of every month, 2:30-4:00 p.m. Bring a copy of your book. Membership fee is $20 a year.